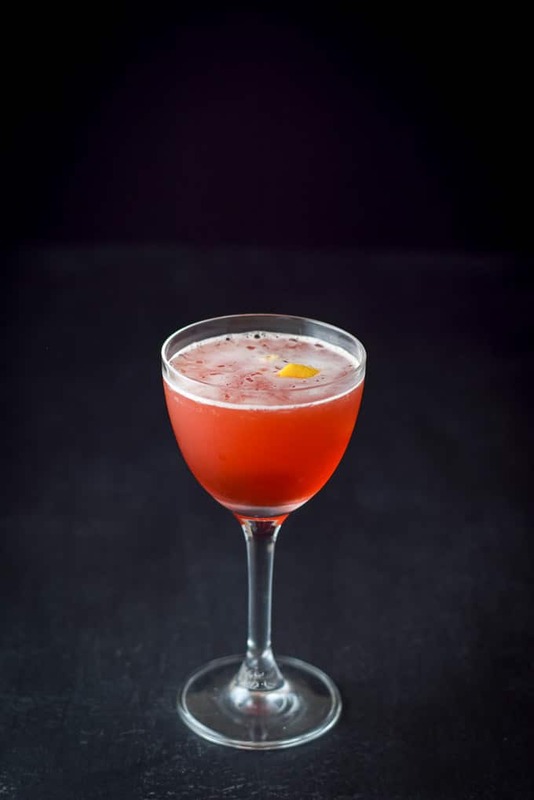 Who doesn’t love a great cocktail? Especially one as balanced as this one. That is why I named it the balanced Boulevardier cocktail recipe. 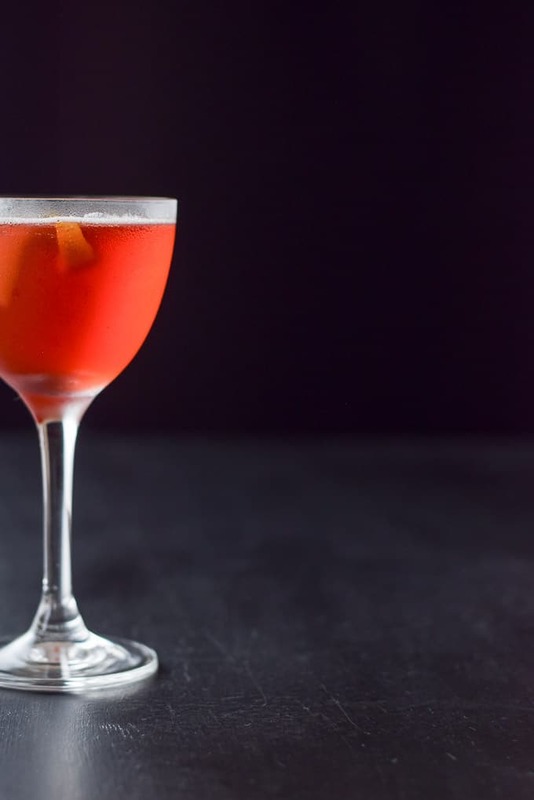 So, one of the fun things about the Boulevardier cocktail is that it’s a great aperitif. 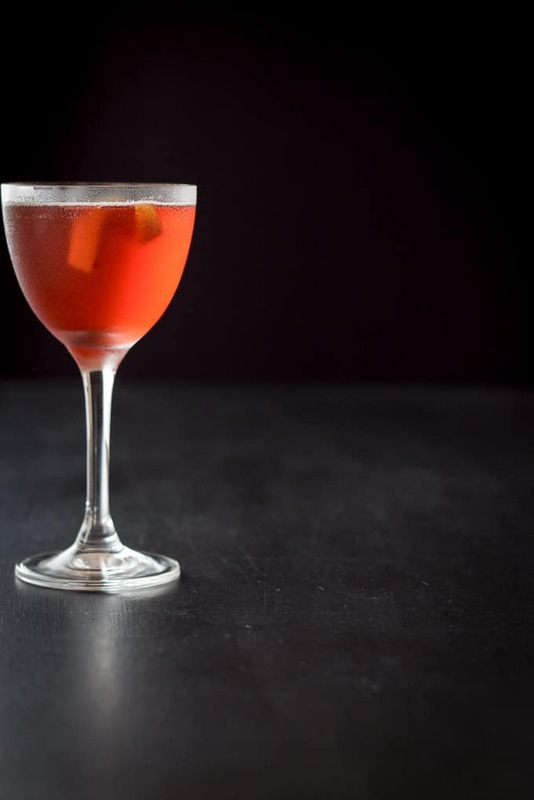 The Boulevardier is a close cousin to the Negroni. The difference between them is the Negroni calls for gin, while the Boulevardier calls for scotch. So, for all you scotch lovers out there, this is the cocktail for you! The thing that rocks about this cocktail is if you forget how to make it, just remember 1:1:1. That means equal parts of the three ingredients. Do you enjoy drinking aperitifs? Also, what about digestifs? By the way, do you even know the difference between the two? As the words suggest, an aperitif helps stimulate the appetite, hence a digestif helps with digestion. My friend and fellow food blogger Gabby loves the Negroni!! I like them but sometimes I feel they are too bitter because of the Campari in them. Do you like aperitifs? Please leave me a comment to let me know! 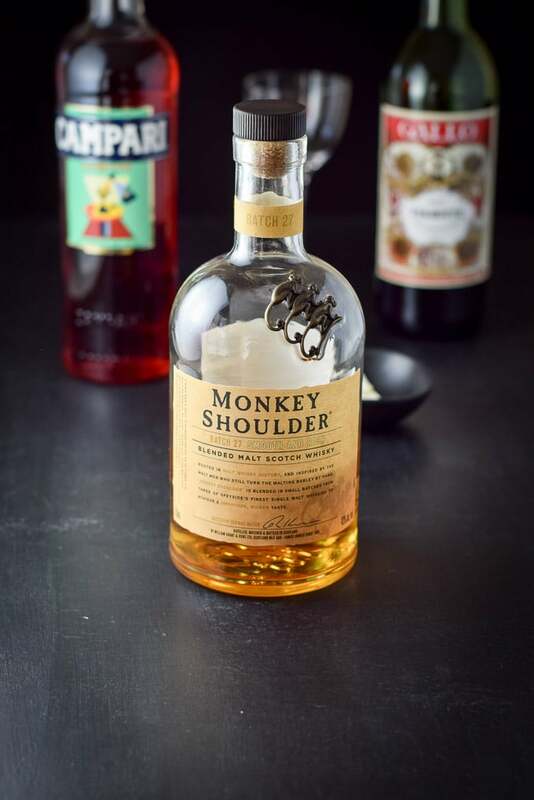 From my well-stocked liquor cabinet, I take out Monkey Shoulder scotch, Campari and sweet vermouth. Peeking behind the scotch is a twist of lemon. To begin with, I fill my cocktail shaker halfway with ice and add 1 ounce of scotch, 1 ounce of Campari and 1 ounce of sweet vermouth. I cap the cocktail shaker and shake it at least 20 times. I strain the Boulevadier cocktail into my cute martini glass. Next I take the lemon rind and twist it over the cocktail and rub it on rim of the glass. 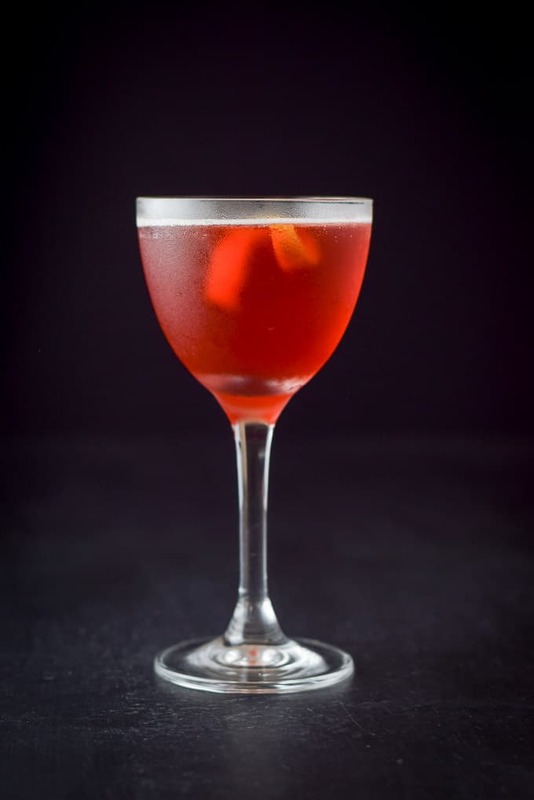 Lastly, I plop the twist into the Boulevardier cocktail! It’s a beautiful color isn’t it? Also, here’s the vertical view. Finally, an artsy photo. I lit it from the back left. So, I hope you enjoyed this recipe because it was quite yummy to sip! Certainly, please feel free to leave me a comment to tell me what kind of aperitif you enjoy. And while you are at it, please leave me a rating as it helps me out because you all know how you like to be helpful! 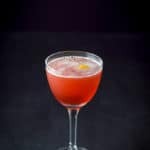 If you’ve tried this Boulevardier cocktail or any other recipe on the blog, I’d love the hear what you thought about it in the comments below. I love hearing from you! You can also FOLLOW ME on FACEBOOK, TWITTER, INSTAGRAM and PINTEREST to see more of my delicious food and delightful cocktails! This aperitif is perfectly balanced and such a great sipping cocktail! You can either drink this cocktail with or without ice! Beautiful cocktail and beautiful photos! Cheers to Friday! This is my kind of cocktail! I love the color and the photo! So beautiful! Thank you Sarah! I appreciate it. My fella LOVES Boulevardiers! We should whip up a batch soon. These look great! Love this! What a great cocktail – and we nearly always have scotch on hand. Pinning to try soon!